Create with yarn, material, etc. to make baby blankets, quilts and more to be given to others as a visual reminder of comfort and care. Supplies & teaching available. Group meetings are in the Care Ministries South Campus. Prepare cards to convey joy, comfort, and care to others in times of celebration and need of encouragement from a list provided by Care Ministry staff. 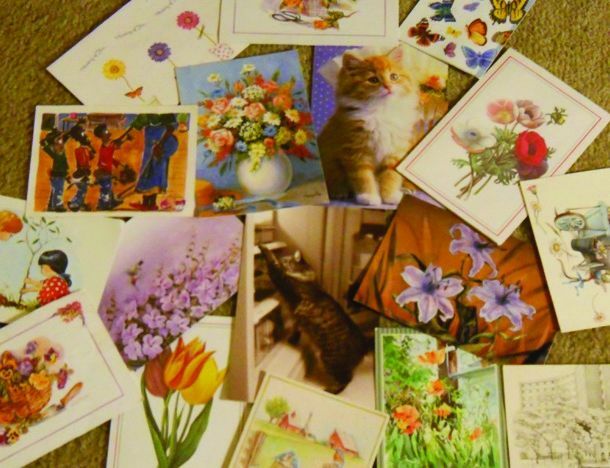 Remember the days of “Snail Mail” delivered to your home mailbox? Our Card Ministry does just that. We provide everything from pens to cards and lists but we need caring people to give it a personal touch with a little note that lets folks know we care! They meet Wednesdays at 9:00 a.m. at the Care Ministry South Campus. Cards can also be taken home and done at your convenience. Every Wed. at 9:00 a.m. or adjust to your schedule. Be a prayer servant willing to offer one on one prayer with individuals before and after worship services. Cook or prepare/purchase food or assist with family receptions at Pathway following a funeral/memorial service. A group of people with a desire to serve when there is a death in a family. Possible servant areas are setting up family room, preparing a dish for a meal, delivering first response supplies to the family (items provided), serving at a family meal or reception following a memorial service, clean up. Spiritual Gifts: Service; Mercy. As needed for funerals/memorial service. Do you feel a calling to visit people in Nursing Homes or Hospitals? Team members visit and pray with individuals who are in the hospital, hospice care or home-bound. Spiritual Gifts: Mercy; Exhortation/Encouragement; Service. As needed. Pray in the privacy of your home for those requesting prayer from the body of Christ through emails. This is an opportunity to strengthen your relationship with God and His children through prayer. Weekly prayer lists and requests are compiled and given to each member (“Warrior”) to daily pray over throughout each week. Spiritual Gifts: Faith; Mercy; Service Whenever prayer requests are received, usually through emails. Door holders, greeters, etc. for funerals held at Pathway. Provide and/or deliver a meal to homes for those recovering from hospital stay/illness/family loss, etc. Spiritual Gifts: Service; Hospitality. As needed. For those in need of transportation to Dr. appointments or grocery store, etc. Spiritual Gifts: Exhortation/Encouragement; Faith; Leadership; Mercy; Service. Weekend Worship Services.